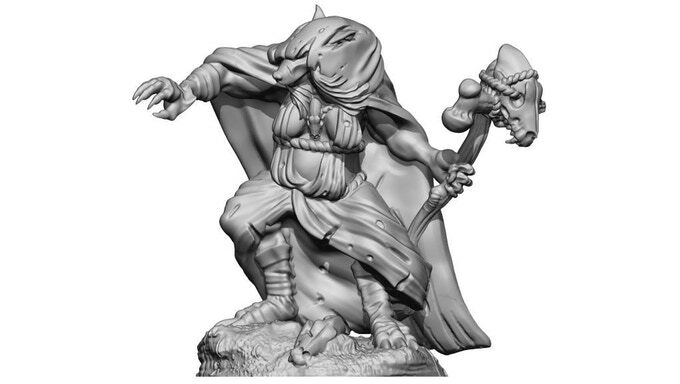 Mit einer Kampagne auf Kickstarter soll Wrathborne von Lion Tower finanziert werden, ein 32mm Scharmützel-System. Wrathborn is a fun fast paced skirmish game with dynamic combat and activations. Set in the dark and mysterious world of Juttergard, Wrathborn has a heavy Dark Age feel to it with a nice slice of High Fantasy. 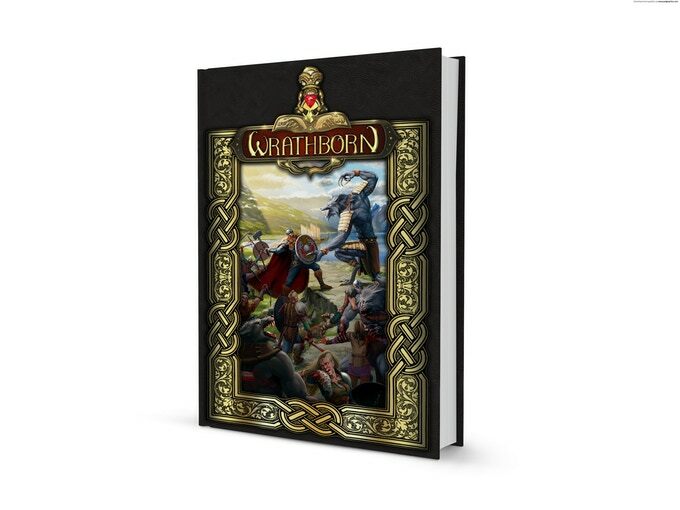 We have brought Wrathborn to KickStarter with the goal of funding the starting 2 faction and printing of the Rule Book, including creation of additional art assets and story material to help enrich the world of Wrathborn. The rule book is currently running at a BETA version count of 34 pages including the faction list for the initial 2 factions. If you’d like to download this and see what the game is about it is available as a free download in our web store HERE. 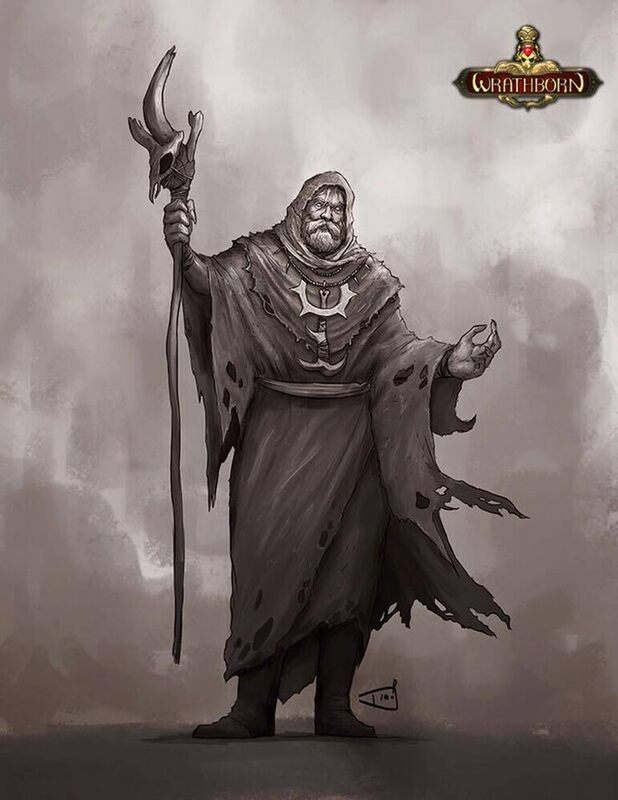 Once we add extra faction rules, scenarios and campaign rules, as well as art, stories and background content into the book, we expect the finished book to come in around 150 pages in a hard back format loaded with history, lore and artwork as well as all of the rules and faction lists so you can play in a casual manner or fully immerse yourself in the world we have created. The models as ever have been lovingly and meticulously digitally sculpted and engineered by Dan, and the masters 3D printed on our little pet PICO to the highest possible standards for commercial production. These are then master moulded in polyurethane resin and then production moulded to be cast in pewter for the highest quality finish (with a bonus of reducing overall weight for shipping). 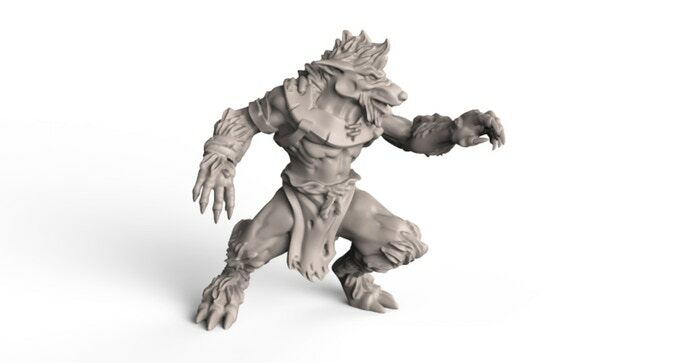 All models are supplied unpainted and with the appropriate sized plastic base for use in the game. Wrathborn will feature four starting factions; The Norndrassel; The Children of Sha; The Kingdoms of Aner’a; and the Jade Empire. Each faction has its own uniquely identifiable aesthetic, feel and play style and we have plans to add many more as the story and game develops with time. Norndrassel is a land spread across a number of islands. Each of these islands is a harsh and bleak place to live, with limited farm land, high mountain peaks and deep fjords. Due to the lack of farm land, the human inhabitants of these Islands have become skilled sailors and ruthless seaborn raiders. Clans send out raiding parties that venture far and wide, raiding up and down the mainland coasts. The people of the islands are a hardy folk and still firmly believe in the old Pantheon of Gods that created the Mortal Realm. However, it is not just humans inhabiting these islands, for there are also hulking Trolls in the mountains and low lands. After centuries of cohabitation (and conflict), these large creatures are now often seen working and living amongst the Norndrassel, and is some cases, even raiding with them. Norndrassel Clans are lead by mighty warriors and leaders known as Jarls, these chieftains will often have a number of settlements under their control and will call upon its members to form raiding parties during the winter months. Not all Jarldoms will have one Jarl. Some, such as the Jarldom of Foehelda which can be found on the main Island of Norndrassel, has four Jarls. Three of these answer to Sven Blackheart, the older brother. To become a Jarl, is not always by what blood you have but sometime how daring you are and if you are able to kill the Jarl and take his place. 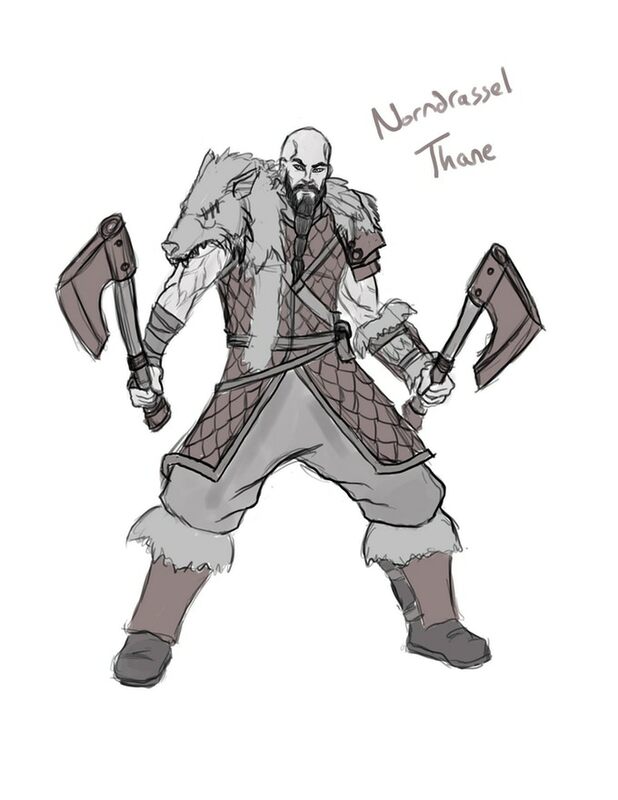 Many a Thane has attempted to become a Jarl this way. Clan Warriors make up the bulk of any raiding party, When these warriors are not raiding some un-expecting coastal settlement, they will often farm the limited land, fish and trade with other Jarldoms or even at other faction’s settlements. Each warrior is skilled with an axe and shield and spend most of their adult lives fighting along side their brothers in the shield wall. Some may favour using two axes or even a large two handed axe, but regardless of how they like to fight, these warriors will always seek a glorious warriors death. Some Clan Warriors before a raid or a battle will drink a brew of mead, known as Oxen mead. This drink fills the warrior with visions of the Gods and makes them all but impervious to damage, at least in the warriors mind. In reality the Warrior is filled with a berserk rage and will keep fighting until every enemy before them is slain or until they are killed. 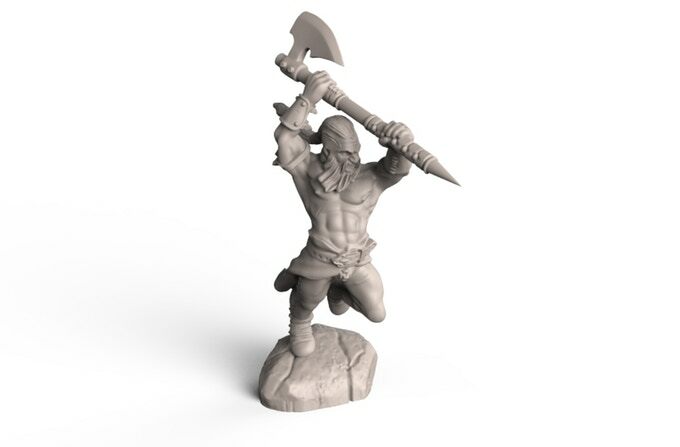 If the warrior survives the battle and the effects of the mead ware off, it can sometimes lead them along the path of the Berserker Cult, a brutal group that believe that the Berserker way is the only real way for a warrior to enter the afterlife. Wildsmen are skilled archers and scouts, and most Jarls will use these warriors to cover their flanks or to range far ahead of their main force. 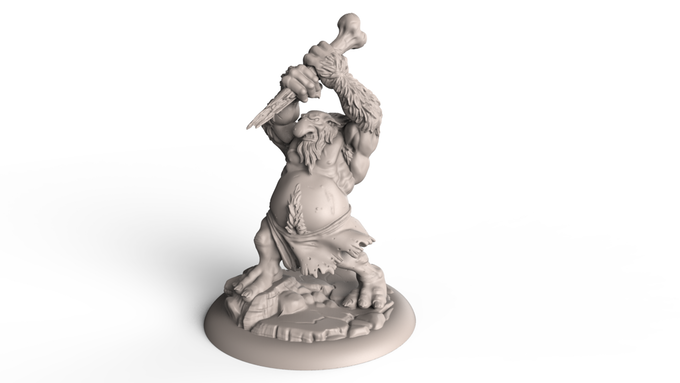 Some groups of Wildsmen have a strong bond with the Trolls of the islands and have been known to hunt alongside these creatures, though not the large Snow Trolls as these brutes are just too big to hunt with. The Wildsmen make use of the much smaller but still deadly Cave Trolls. All Lycanfiend Packs are lead by an Alpha. These imposing creatures are skilled fighters and cunning hunters, and a successful pack gives thanks for to their Alpha. Should an Alpha fail to protect the pack, he will be removed either by a Beta or by an outsider. One of the most successful Alphas is Greymane. Some even say that he is the chosen of Sha and has even spoken to her directly. True or not, Greymane has the largest Pack and has killed all that have challenged him. Packs are made up of mostly Pack Mates. 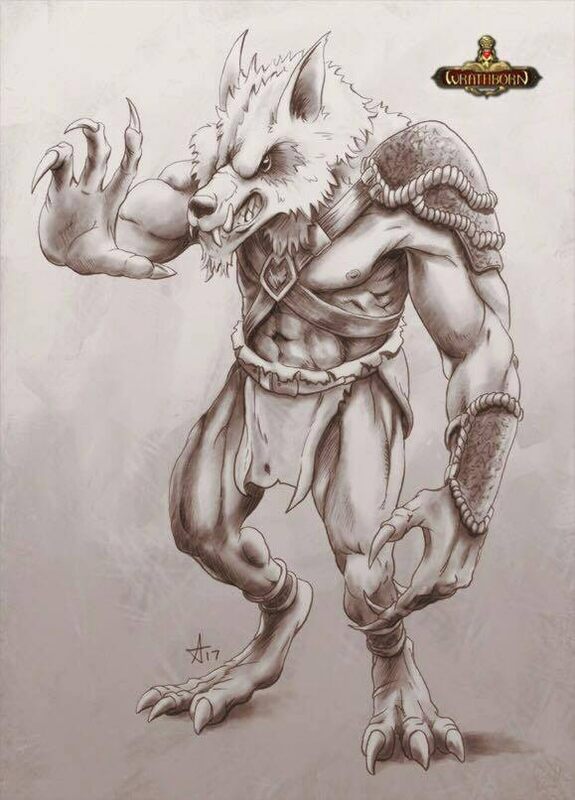 These include young male and female Pack members through to older Lycanfiend. They tend to the Dens and often look after the young, as well as hunting for food. In times of war, Pack Mates make up the bulk of the Pack’s fighting force, often running in smaller groups of three and four pack members, hitting the enemy lines and running away, only to come back and hit them at a different location. A Shadow Stalker stands apart from her pack, and Alphas often use them to scout forward when hunting or to keep an eye on the Packs boarders. All Shadow Stalkers are female and none of them have a mate. Female Pack Mates that won’t or can’t find a mate, tend towards the path of a Shadow Stalker whilst some others just drift towards this path. It is said that Sha whispers to them and that she shows them how to blend with the shadows of the forest and strike at their enemy unseen. Alphas who survive being removed from their position, or Betas that fail to overthrow the Alpha are cast out from the pack and become an Omega. Though Omegas are not a part of the Pack, they tend to stay close, feeding on the scraps left behind and over time they become feral, blood crazed killers, who prey on the weak. When a Pack goes to war, an Omega will hunt down any injured enemy and the smell of blood will send them into a frenzy. During the course of this Campaign, an exclusive miniature is available for purchase. This miniature will ONLY be available during this campaign. The render above is for illustration purposes, but the final version will have a larger and much more impressive base. Everything you’ve seen so far is of course a digital render. Having said that, our sculptor Dan (that’s me!) 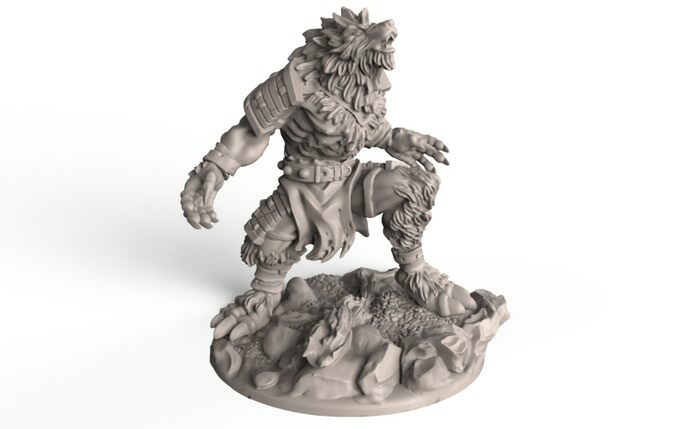 has a lot of experience producing miniatures, and all of the renders translate fantastically into physical miniatures. 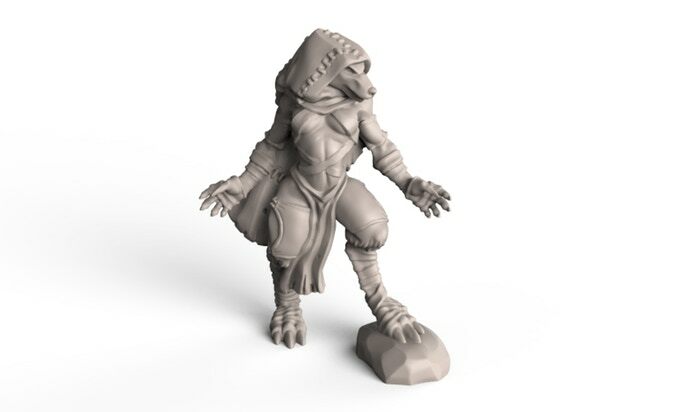 At the time of the kickstarter going live, all of the miniatures you have seen above (and a few more on top) have been printed, and produced as a limited run batch for pre-release and playtesting. The moulds for those are now broken and will not be made again. Wanderer – £1 Thank you for the support, this pledge has access to the Pledge Manger to add items that have been unlocked. 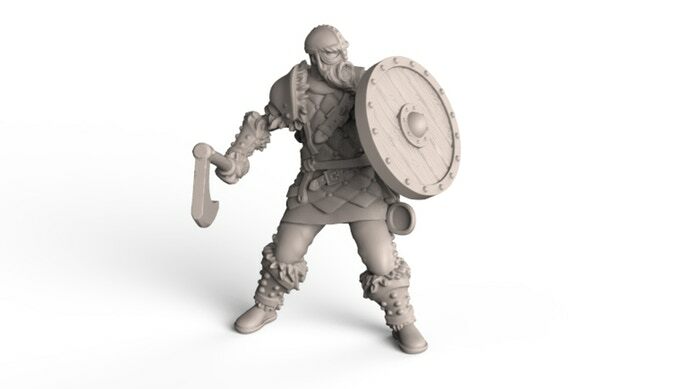 Jarl – £15 This pledge gives you one copy of the Kickstarter exclusive miniature. Skirmish – £40 One Faction starter set. Element Walker – £60 One copy of the Wrathborn Rulebook and one Faction starter set. Warband – £100 One copy of the Wrathborn Rulebook and two Faction starter sets Plus access any stretch goals added to the pledges. 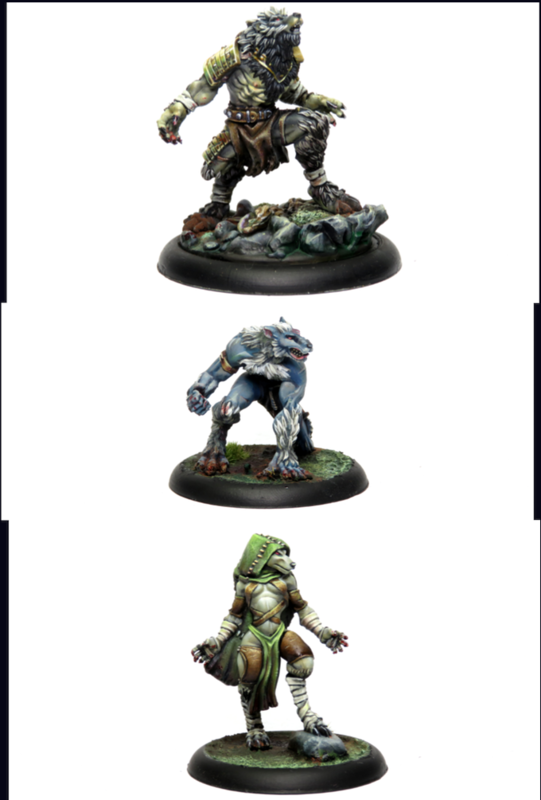 Resin Master – £900 A copy of every miniature we unlock, including all paid add ons, as resin masters. Limited to 15 bundles. Retailer – £375 consists of 5 copies of the rule book, 10 faction starter sets, and 5 Retail only Alpha Miniatures. All priced at 35% discount from RRP with the 5 retail exclusive minis thrown in for free. You will get your models 3 months before they go on general release. If you would like to add any extras on to your basic pledge, please increase your pledge level by the value of the item below. 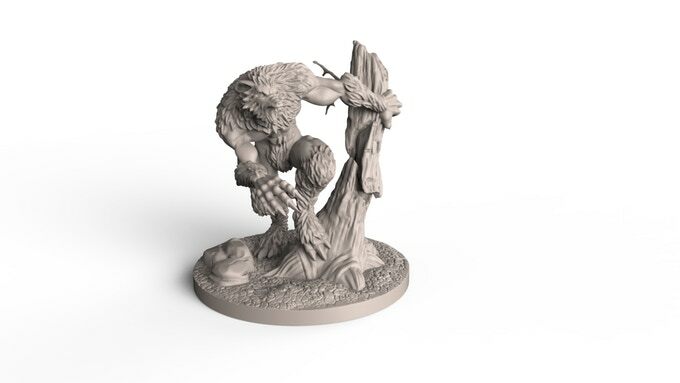 example – if you have backed at Skirmish level (£40) to get a Lycanfiend warband and want to add an extra Shadow Stalker (£10) and 4 Packmates (£25), then you should adjust the value of your pledge to £75. All packages will be sent via the cheapest signed for shipping method possible in order to keep shipping fees to a minimum. 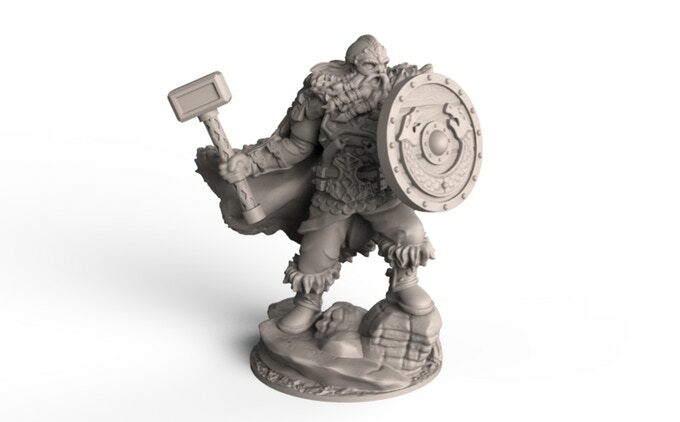 It should be noted though that unlike our previous Kickstarter, the models for this one weigh significantly more due to being produced in pewter (although larger items will still be resin). Your shipping costs will be calculated at checkout in the pledge manager and are based on both weight and destination. We will be using a delivery partner to handle US shipping, and depending on the European situation after Brexit, we may need to look to use a European distributor also. Shipping costs will vary greatly depending upon your pledge as more models will increase your shipping costs. 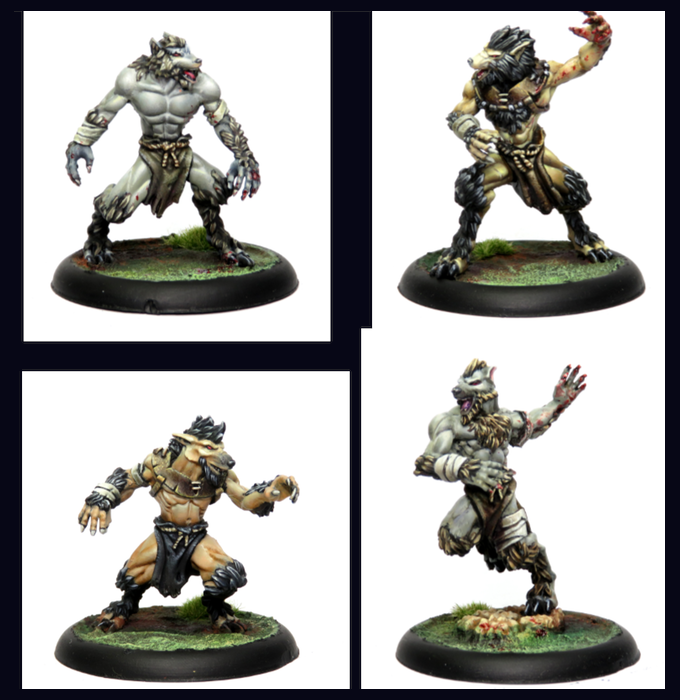 The Lycan Beta piles in! More stretch goals to unlock including 2 new factions! 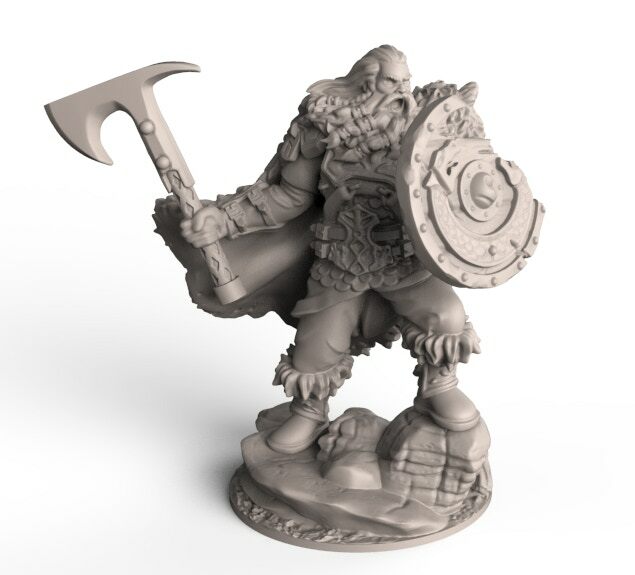 If the project ends with at least 350 backers, all Warband and Warhost pledges will receive a free copy of the limited edition Campaign exclusive Jarl miniature. Please Pledge Now and Support Independent Artists and Game Designers! You can also join the official Wrathborn Facebook Group and have the opportunity to liaise directly with Rik and Dan to chat about the game, rules questions, miniature suggestions etc (Critically important if you decide to start playing with the Beta rules! Link below! During our first KickStarter campaign, I (Dan) made a number of mistakes all down to naivety, underestimating some of the work involved, and . There were also a number of external factors that caused delays and resulted in a longer than expected delivery time. 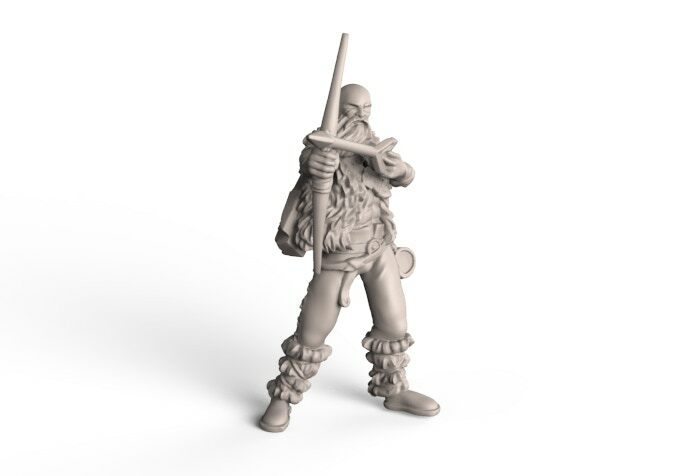 Ultimately all backers received their miniatures and were happy with the end products. A lot of lessons were learnt during the last 18 months, and in addition, we have refined our own internal processes and forged some great business relationships with our manufacturing partner Hysterical games. Rest assured, that we have learnt our lessons the hard way and will not make the same mistakes again! We are more aware of the impact of third parties on our own schedules and have already planned our production schedule to work around the major trade shows and other events that caused us delays the first time round. We have procured our own 3D printer to allow us to prototype and then rework as neccessary without impacting enormously on the project funds, so if a miniature isn’t right it can be adjusted and corrected without fear of overstretching the budget. We are using freelance artists for painting miniatures and producing artwork, so there is some reliance on third parties for some elements, however, deadlines are agreed and payments made swiftly for work delivered, so there is little reason to expect delays there. We will also be using third parties for proof reading and editing text so again, potential that this could cause delays, however our deadlines for this are reasonable and allow for a percentage of overrun. Die Kampagne hat ein Ziel von 23.467,00 USD und noch eine Laufzeit von 27 Tagen. Mir schon fast zu generisch vom Setting her, aber zumindest der Hünchen-Knight aus dem ersten Update ist cool. Und die Beta Regeln sind auch ok, haben einige nette Ideen drin. Aber mal abwarten ob das überhaupt finanziert und was noch freigeschaltet wird. Der KS bietet eigentlich überhaupt nix neues. Ganz zu schweigen von der „NEW ERA OF…“ . Wenn sie ihre sehr niedriges Ziel von 18.000 Britischen Pfund überhaupt schaffen frage ich mich wie sie damit all das Finazieren wollen? Ich werde da lieber übervorsichtig als am Ende überaus enttäuscht sein. Ich habe so den Eindruck, Monster modellieren geht, aber Menschen verzeihen da weniger. Die Finger bei Jarl umschließen den Griff des Hammers komplett wie es scheint. Recht lang die Fingerchen für meinen Geschmack. Beim Clan Warrior sieht der Waffenarm sehr dünn aus nach der Unterarmschiene, fast wie bei einem Skelett.